The Turnbull government will next year roll out changes to the way international students are trained in the English language. International students will have to pass an English language test under new standards to be introduced in 2018. Over 150,000 international students who come to Australia next year will have to pass this new test to prove their English proficiency. Education Minister Simon Birmingham will tell an education conference in Hobart on Thursday the government will introduce new English language standards next year. English Language Intensive Courses for Overseas Students (ELICOS) will have to formally assess students where they provide direct entry to a tertiary course. At the moment, students can pass a course without proof and then start university studies. Some academics have in the recent past flagged concerns that the current English requirements aren’t sufficient for students to study university courses. Jenny Weight taught at Melbourne’s RMIT University and she said many international students with a 6.5 band score in EILTS struggle to understand anything that is technical or sophisticated which, she said, leads to many problems for them. “Many students have come to me with problems. A number of students suffering from extreme anxiety, stress and depression. Though I am not a psychologist, but I can sense these problems in students over many years,” she told SBS Punjabi. Senator Birmingham says the government doesn't know exactly how many of the 150,000 ELICOS students last year weren't up to scratch, although the vast majority achieved high-quality outcomes. "But we know there are a number of anecdotal instances, that you hear of students not being able to fully participate in group work or struggling through the class work that is set for them," he told ABC radio on Thursday. "It is essential for those international students and for the domestic students who they ultimately study alongside in our universities, TAFEs or other education providers that they have the English language skills to succeed." Arjun Mathilakath Madathil of the Council of International Students Australia said it will the move will see the number of students coming to study in Australia fall. “It may reduce the number of students but will help the quality as many students enter universities with very basic English,” said. Mr Madathil said these English tests are "expensive" for students and that they are advocating for doing away with repeated tests at multiple stages. 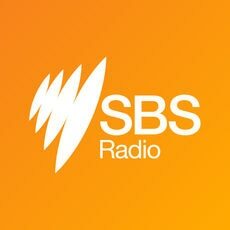 “We are hoping the government will then not make students sit these tests when they apply for their PR [Permanent residency] and citizenship,” he told ABC News Radio. The standards will be extended for the first time beyond universities to vocational education and training courses. All ELICOS courses will have a minimum of 20 face-to-face contact hours per week and a maximum teacher-to-student ratio of 1:18. Of those who studied the English-language courses in Australia last year, more than 60,000 went on to further study, mainly in higher education or vocational courses. Senator Birmingham says the changes will strengthen Australia's reputation as a high-quality destination for international education, a sector worth $28 billion a year. The clearer, stronger standards would also make it easier for higher education regulator TEQSA to weed out providers doing the wrong thing.